Our prices are based on a Tiered Service Level System. Stylist, Advanced Stylist and Master Stylists reflecting the stylists hard work and dedication to their craft. 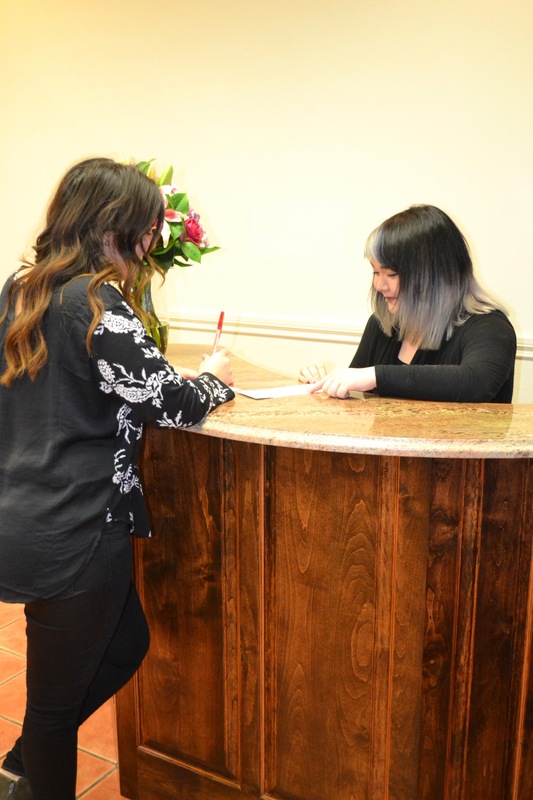 Please discuss charges during your consultation or before beginning your service. Your referral is our greatest compliment. 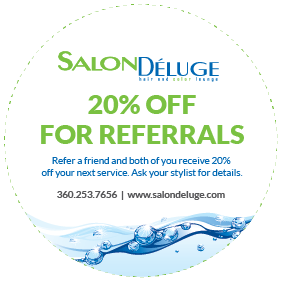 Refer a friend and BOTH of you receive 20% off your next service. Ask your stylist for details. A 24 hour advanced notice for cancellation of your reservation is required. Thank you! As a native of the area, I have always had a strong interest in the beauty industry. At my first hair show I fell in love with color and Matrix become an educator, holding positions as Oregon Educational Consultant and Director of Education in Guam. With over 27 years of experience, I love to create personalized color formulas and solve your color dilemmas. 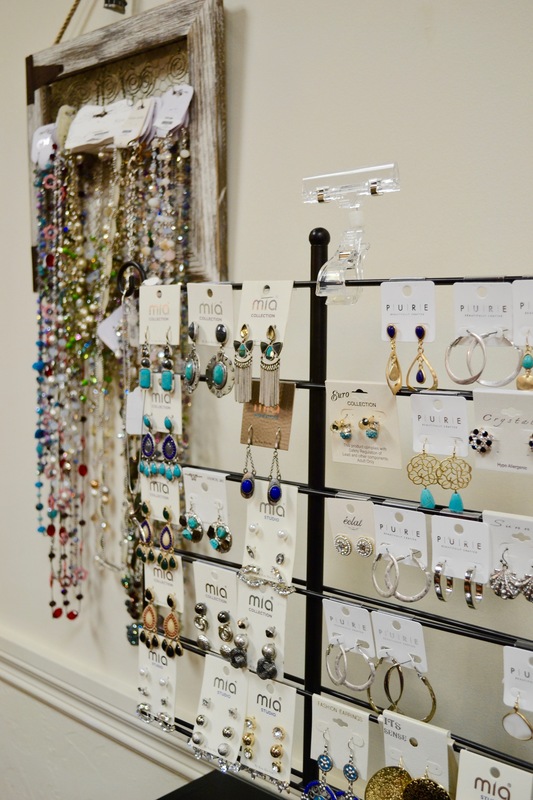 I will listen to your needs and make suggestions to keep your style fashionable and as on the edge as you need. Specializing in both women and men’s hair and color services, using scissors, texture tools, razor and clippers, I can give your hair what it needs using any method available. I am an award winning educator and colorist. My family and I love spending time jet skiing and traveling locally. My love of adventures keeps me looking for more. I enjoy internet games, quilting and crafts. 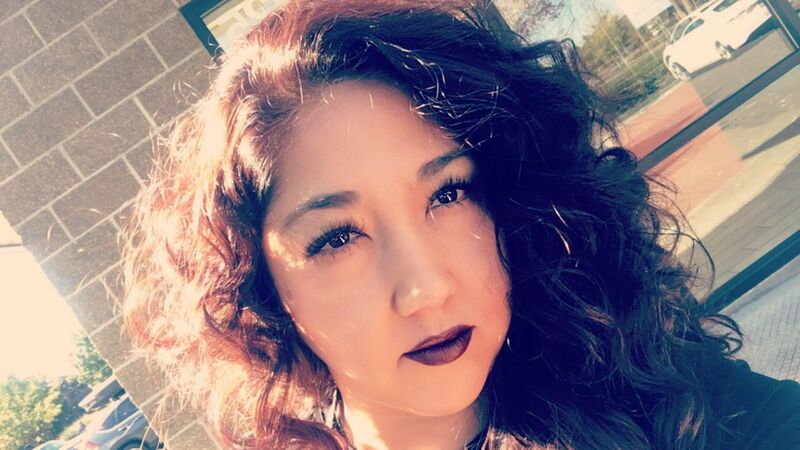 One of Salon Deluge founding stylists, Rocio loves to use the new skills she learns from her inspirational training from industry leaders like Sam Villa. She is meticulous in finishing her precision haircuts and color. 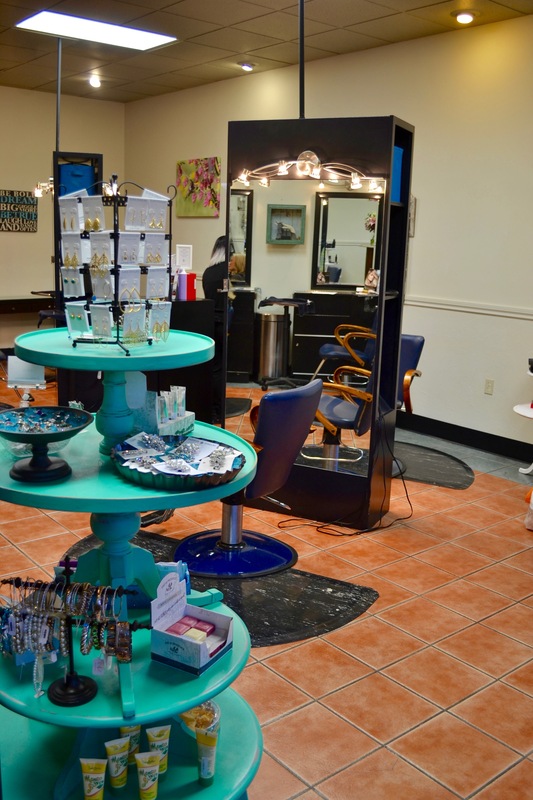 Her greatest asset to our salon is her technical skills and versatility, leaving the salon looking like you imagined. She graduated from Yakima Beauty School and Cosmetology license since 2000. During her career she has risen to Master Level Stylist. 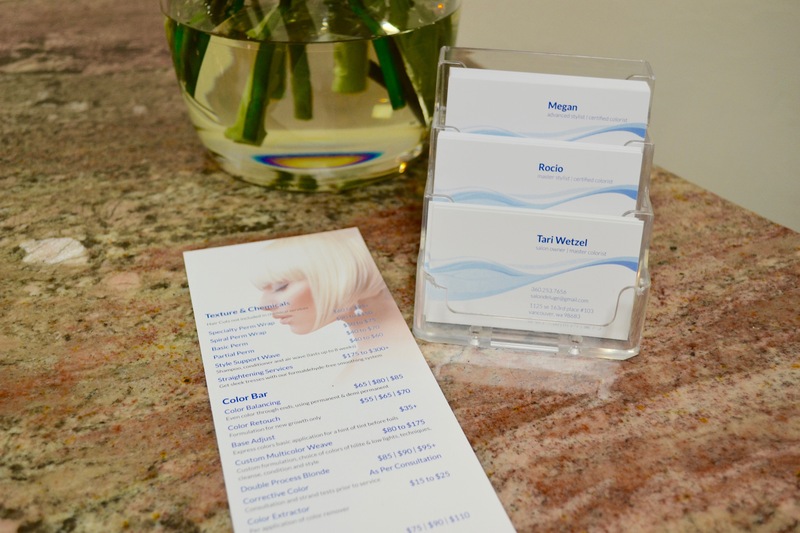 She has proven and is well skilled in Hair, Nails and Skin Cares Services. Her professional experience includes working with multi-cultural hair types for both men and women (Asian and Latin). She has attended coloring training in Lanza, Aloxxi, Matrix, Eufora and Redken where she has received certifications. She was born in Mexico and fluent in both English and Spanish. She is married with three beautiful Girls. 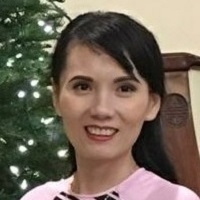 Her honesty, love and passion for the industry is a great connection to her clientele. Hi Beautiful! 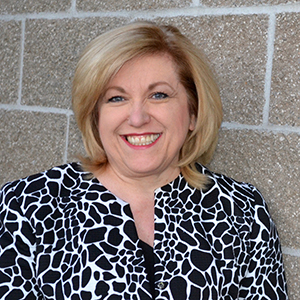 My name is Liz and I have been in the beauty industry for 19 years. I'm a very motivated stylist/SoColor certified, manicurist and makeup artist. Enthusiastic about hair care/ beauty industry. 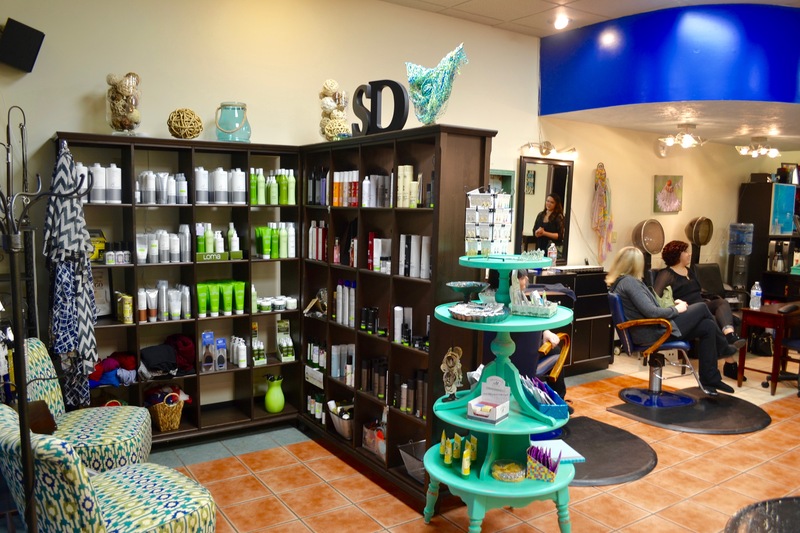 Dedicated to providing high quality color, custom cuts and tape in extension, up dos, makeup for special occasions, natural and artificial nails services. I'm an excellent listener, communicator who works hard to make each client's experience is a possible one. I'm very detail oriented, honest, friendly, reliable and conscientious. I'm fluently in both; English and Vietnamese. My greatest reward as a cosmetologist and manicurist is to be able to be the tool that help you gain the self confidence and rock your beauties!! If the above hours don't work for you, Call us. You can book additional hours by appointment. 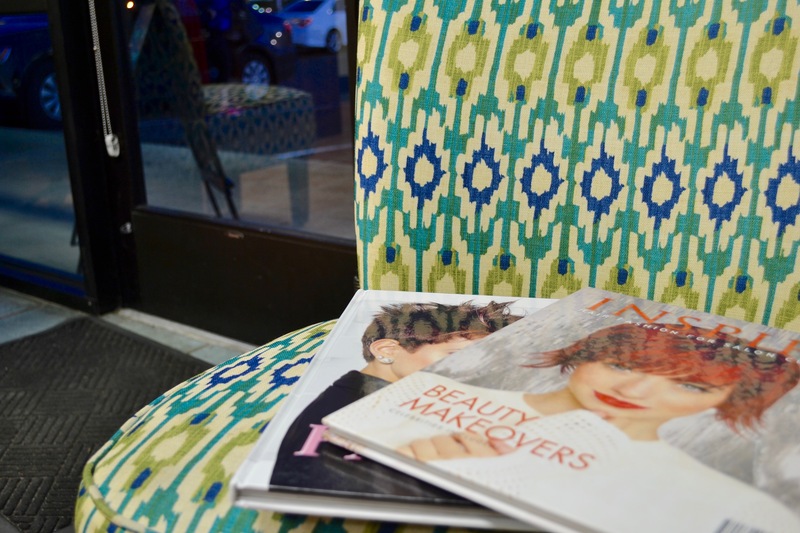 it's for those who choose a great hair stylist. Stay connected on the latest and greatest styles. ONLINE BOOKING - GET SCHEDULED!